Stirling Council has paid tribute to Sir Andy Murray following his revelation (Jan 11) that he intends to retire after this year’s Wimbledon. The 31-year-old from Dunblane plans to play at the Australian Open against world number 22 Roberto Bautista Agut this Monday, but admitted injury may mean he cannot play beyond the tournament. Sir Andy Murray is a three-time Grand Slam tournament winner, two-time Olympic champion, Davis Cup champion, winner of the 2016 ATP World Tour Finals and former world No. 1. The former Dunblane Primary School pupil, who was knighted in the Queen's New Year Honours list at the end of 2016, became the first British man since 1936 to win a Grand Slam when he won the US Open title in 2012. A Golden Post Box was located in Dunblane following his 2012 Olympic victory, and he was awarded the Freedom of Stirling at a special meeting of Stirling Council during 2014. He also received an honorary doctorate from the University of Stirling, where he once trained. 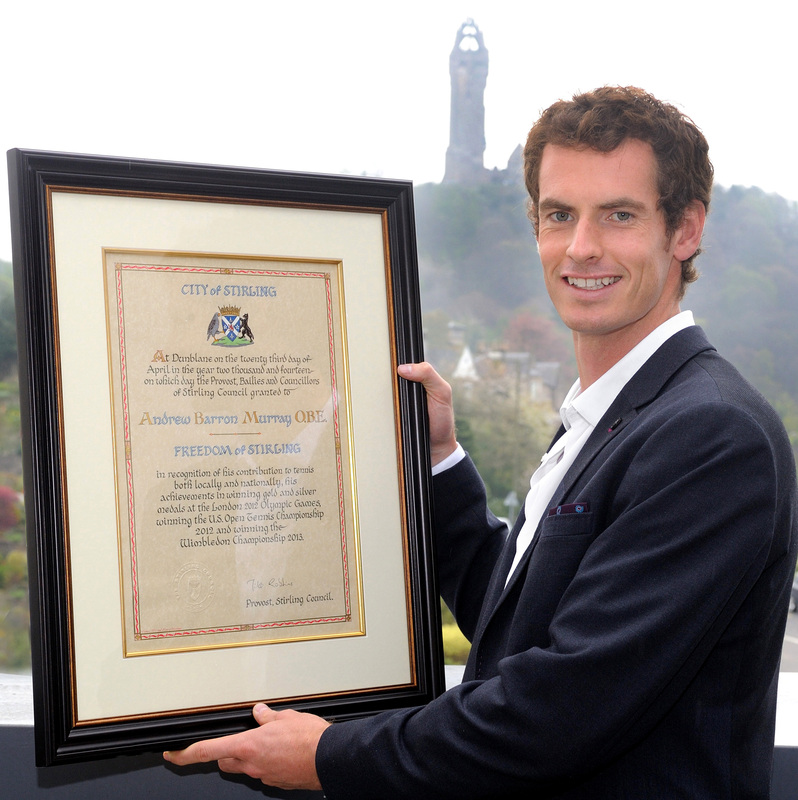 Stirling Council Leader Scott Farmer said: “Andy Murray is an inspirational figure who has made an immense contribution to tennis both locally and nationally. He has had an outstanding career, from his early days training at Dunblane Tennis Club, to his successful Grand Slam and Olympic victories. “He is a great role model for our young people whose aspiration and dedication has helped inspire a new generation of young people to participate in sports. Stirling could have asked for no greater ambassador to showcase the many benefits that come from a healthy, active and engaged lifestyle. 41 weeks as world number one. Three grand slam titles, including two at Wimbledon (2013 and 2016) and a US Open (2012). Won two Olympic gold medals (2012 and 2016). Reached eleven grand slam finals. Won 14 ‘Masters 1000’ titles. Helped Great Britain win the Davis Cup in 2015. Three time winner of BBC Sports Personality of the Year.